The 2015 Honda CR-Z is the hybrid of choice for Middletown and Mechanicstown drivers who value performance, technology, and a high standard of safety — roundly outperforming competitors like the 2015 Toyota Prius c. We decided to pit these two vehicles head to head to make sure that Honda are still offering an incredible hybrid vehicle. 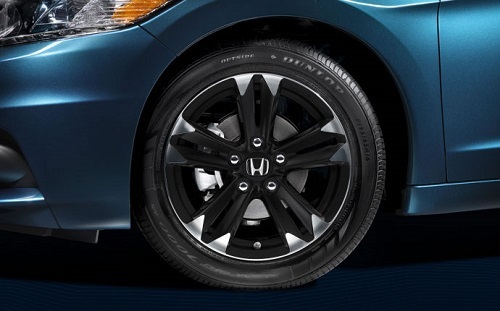 CR-Z: The base model starts at $20,145,* but offers a comprehensive array of standard features. Mesh sports seats, automatic climate control, and cruise control allow for total relaxation, while a rearview camera is added for effortless reversing. CR-Z EX: The EX starts at $21,990,* and is all about comfort and entertainment. A 7-speaker, 360-W audio system is included as standard – as is a built-in subwoofer – while a leather-wrapped steering wheel, leather-wrapped shift knob, and aluminum pedals provide high-end styling. 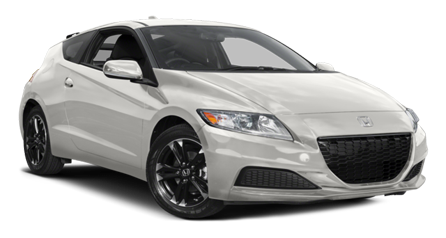 CR-Z EX with Navigation: Starting at $23,490,* this model adds an advanced Honda Satellite-Linked Navigation System — featuring voice-recognition control and FM traffic — as well as an ungraded multi-angle rearview camera. 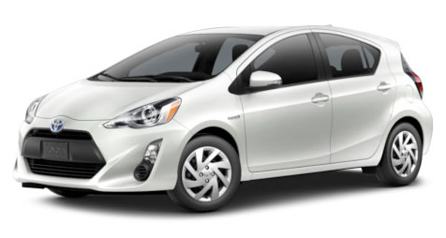 The 2015 Toyota Prius c starts slightly lower, with the One model costing a minimum of $19,540. However, many standard features are absent, and once you work your way up to a top-of-the-line Prius c Four you’ll be paying at least $24,475 – appreciably more than the fully-loaded 2015 Honda CR-Z. 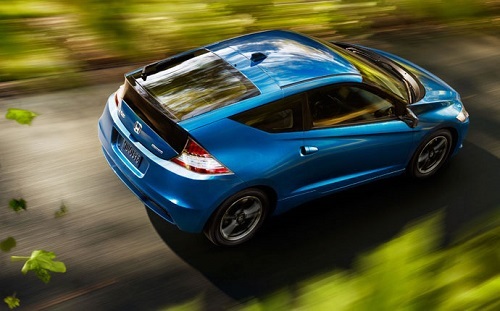 Horsepower: The 2015 CR-Z offers 130 hp, while the 2015 Prius c delivers just 99 hp. Torque: The 2015 CR-Z outperforms in terms of torque, with 140 lb-ft in models equipped with a manual transmission and 127 lb-ft in models equipped with a CVT. That easily outstrips the 82 lb-ft supplied by the Prius c.
The 2015 Honda CR-Z doesn’t simply pack a greater amount of power beneath the hood, it ensures that Middletown and Mechanicstown drivers enjoy cutting-edge technology and premium features across all trims levels. 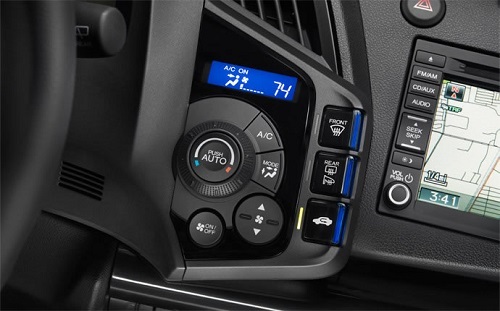 Cruise Control: Few modern vehicles fail to offer this system as standard, but the 2015 Prius c is one of them. 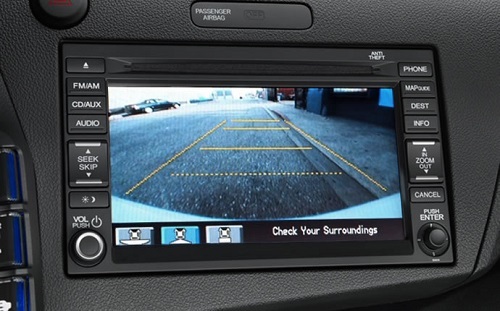 Rearview Camera: For confident reversing, Honda has made a review camera standard. Auto-Off Headlights: Sit back and enjoy the ride while your CR-Z automatically adjusts visibility. The 2015 Honda CR-Z splits 49.1 cubic feet of passenger volume between two occupants, while the 2015 Toyota Prius c offers 87.4 cubic feet to divide between up to five, so it feels a little roomier in the Honda. Maximum cargo volume is also superior; while the 2015 Prius c only provides 17.1 cubic feet for carrying all your luggage, the 2015 CR-Z provides 25.1 cubic feet – a dramatic upgrade for people on the go. The cabin itself is styled a little modestly in the 2015 Toyota Prius c, with an abundance of hard plastics. In contrast, the 2015 Honda CR-Z benefits from a high standard of interior design, with track-inspired aluminum pedals and an available system of background lights that change color depending on your driving efficiency. Front Active Head Restraints: Fitted as standard in the CR-Z, these head restraints react to a collision in order to lessen the likelihood of neck injuries. Advanced Compatibility Engineering Body Structure (ACE): Crumples intelligently in the event of a crash, directing impact energy away from occupants. Available now from Middletown Honda, the 2015 Honda CR-Z is changing the way people think about hybrid vehicles. To experience it for yourself near Mechanicstown, just come down to our showroom today.